Steve Goldsmith made a VIC demo for the Commodore C128 in CP|M mode. 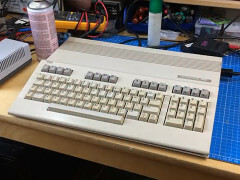 Tynemouth Software has repaired a keyboard for the Commodore C128. 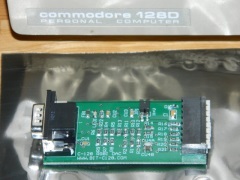 He also developed an C128 keyboard to USB adapter. The game A Mind Forever Voyaging from Infocom was released in 1985 for the Commodore C128. This improved from version XmikeX enables the 2 MHz fast-mode and it also has improvements for the VIC-II mode. Another Infogame with the 2 MHz mode: Trinity. 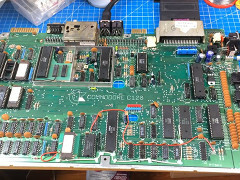 Part 5 of the repair of a Commodore C128 by Jan Beta. 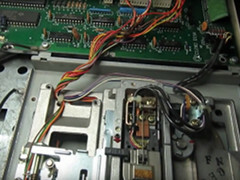 Iz8dwf made a video of the repair of Commodore 1571 disk drive. This time the problem was a defective 6502 CPU. 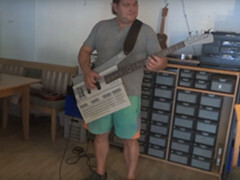 Stegi 3178 started a project to make a bass guitar from a Commodore C128. 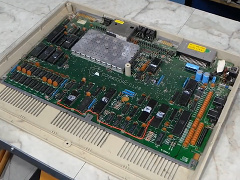 Part 4 of the repair of a Commodore C128 by Jan Beta. VectrexRoli made a video about the Commodore C128D. He show his modifications and how to connect the 1541 Ultimate II. Jan Beta has made another video about the repair of a Commodore C128. 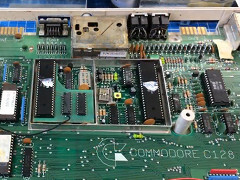 Jan Beta has made a video about the repair of a Commodore C128. In this part he builds a new power supply. 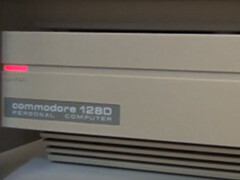 Jan Beta has made a video about the repair of a Commodore C128. 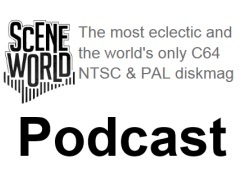 Scene World Podcast is a podcast about the Commodore scene. In this episode: The 128 Remastered with Peter Reichenbach. 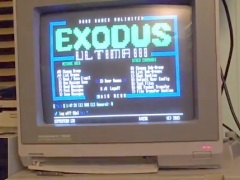 Laird's Lair made a video about playing 30 different games for the Commodore 128 computer. A new version of DraBrowse and DraCopy is now available. Changes in this version: Improvements for copy, directory sort, support for SEQ and REL files, support for 1571 and 1581 drives and D71 and d81 disk images, dos status drive information and improved ASCII text and hex viewers. 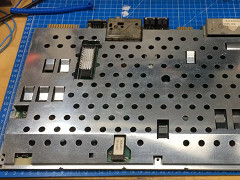 TheDuckSun is working on a C128 that fits into a C64 case. The proto type has the following features: VIC/VDC switch, 8 bit colour RAM, 6-36 VDC, Dual-SID, etc. You can follow the progress on Forum64. 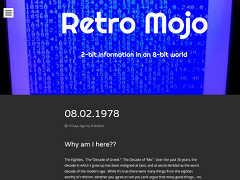 Official web page for the C128 RM. 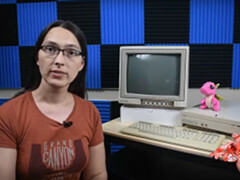 Leading Motive is making a series of videos about the Commodore C128 DCR. In this episode: 40/80 column mode, SD2IEC, DraCopy, 1541-II, Action Replay and the Final Cartridge. Second episode: MIDI interface and SID Digifix. 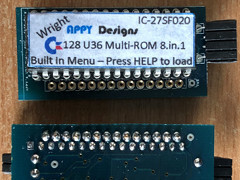 Pyrofer developed a new option ROM for the Commodore C128. This system has a menu and space for 7 ROM images. The selected ROM will be the default ROM even after switching the C128 off and on. Tokra released an improved version of VDC Mode Mania. 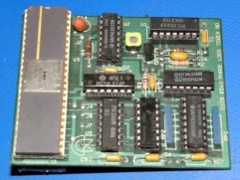 This demo shows the possibilities of the VDC (MOS 8563 Video Display Controller) chip in the Commodore C128. Iz8dwf made a video of the repair of a Commodore C128D computer. 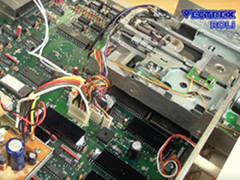 This time he repaired the internal 1571 disk drive, replaced the MOS 6581 SID and he cleaned the keyboard contacts. 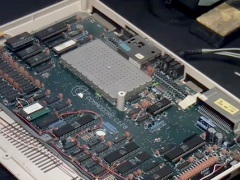 Iz8dwf made a video of the repair of a Commodore C128 computer. This time the fault was a colour RAM. 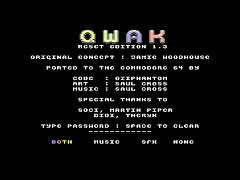 Qwak is a new game for the Commodore C128. 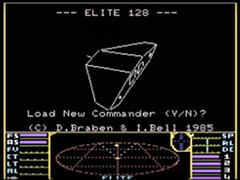 The game is developed by Oziphantom and the music and graphics are from Saul Cross. 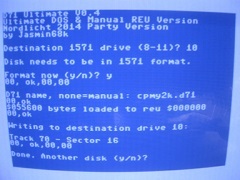 The game also has the auto boot feature for the C128. This is an enhanced version of a C128 magazine Type-In program by Cleve Blakemore. 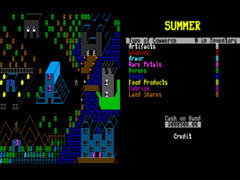 Richard J. Derocher added the 80 column mode and various other enhancements to the game. 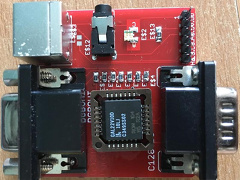 Pyrofer made a WiFi modem for the Commodore C128. 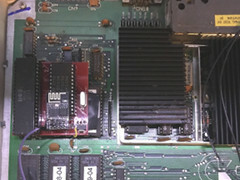 The WiFi modem is installed on the motherboard and it works together with the Desterm software. 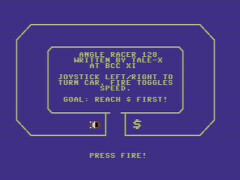 Angle Racer is a new game for the Commodore C128 developed by Tale-X. The game reached the second place at the BCC Party #11. The 8-Bit Guy made a video about a Commodore 128 he bought on craigslist in terrible shape. He completely restored the C128 into like-new condition. 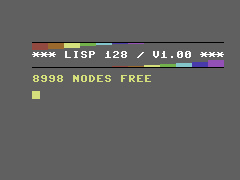 Hamster released LISP for the Commodore C128. The LISP programming language is one of the oldest programming languages and was introduced in 1958. LISP is used for artificial intelligence and for scripting. Pyrofer is working on a converter to transform a 80 column CGA video signal to RGB. 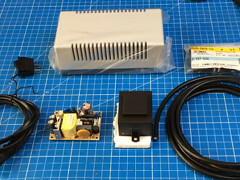 With this system you can connect your Commodore C128 to a RGB monitor. At the moment the refresh rate is 15 kHz (no scan doubler). On the Youtube channel Cainers Commodore Capers! 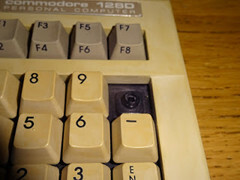 you can see the repair of a Commodore C128. This Commodore C128 was not working at all. In the video you can follow all the steps from diagnostics, schematics, (de)soldering and testing the system. Francesco Sblendorio made new games for the Commodore C128. But not in Basic 10 or in machine language but in CP/M. This means that the games can be played on computers that support CP/M. Besides Gorilla he also made the games Towers of Hanoi and Eight Queen Puzzle. 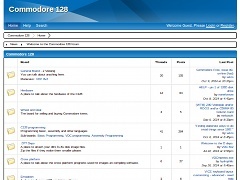 Earlier this year Sean Peck released the communications package Kipperterm 128. 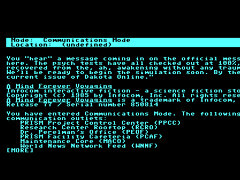 Kipperterm 128 can be used on the Commodore C128 to communicate with for example an BBS (Bulletin Board System). You can watch a demonstration of Kipperterm 128 on Youtube. Demonstration of Kipperterm 128 on Youtube. 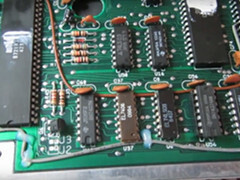 John Carlsen developed an video digital-to-analogue converter for the Commodore 128. This converter works together with the Gonbes GBS-8220 video converter. The video DAC converts the digital RGBI (red, green, blue, and intensity) signals accurately to the analogue levels used inside a genuine Commodore monitor. 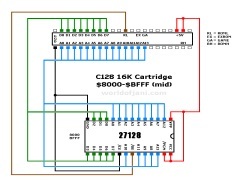 Jani made an tutorial about building a cartridge for the Commodore C128. The C128 cartridge functionality is different than in the C64. The maximum size is 32K and it is possible to use an internal socket in addition to the cartridge port. 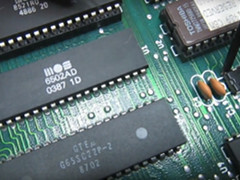 A schematic for the cartridge is available. 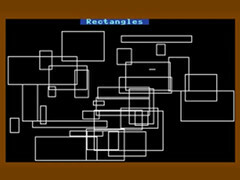 VDC Mode Mania V1.1 is a slide-show for the C128 with a 64K VDC. This demo demonstrates many different video, for example 640x480 interlace 8x2 colour resolution, 720x700 interlace monochrome and text modes with larger screen areas. The demo has ten .d64-files full of converted pictures. Miro from Mirkosoft is still working on the Ace operating system for the Commodore C128. His goal is to have the first version available on the 30th anniversary of the Commodore C128 on January 4th 2015. You can follow his progress on his blog page. 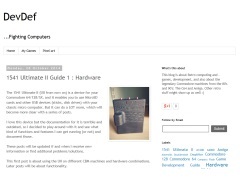 If you are a Commodore C128 user you should visit the C128 forum. The sections in the forum are: General, Herdware, Wheel and Deal, C128 programming, .D?? 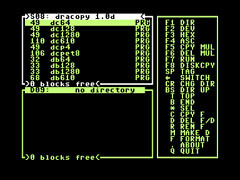 Depo, Cross platform, Emulation, c128 Demo scene, Useful Links, Alternate OS's and Go64. Jasmin68k released a new version of D71 Ultimate. This program can be used to write D71 diskette images to a real 1571 disk drive with the help of a C64 and a Ultimate cartridge. Changes in this version: Only Assembler, no more BASIC. Combined Ultimate DOS and Manual REU version. Integrated 2 MHz 1571 transfer code from Uload M3 R1 (Marko Mäkelä). 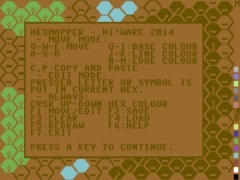 Raoul developed a hex mapper for the Commodore C128. With this program you can make mosaics with hexagons as units for role-playing country maps. With the program you can edit each hexagon with a direction and a colour, you can also move and copy hexagons. An manual (English) and a examples are included. The Ace team is working on a new operating system for the Commodore C128. The development is going on for the last couple of year but the team is now down to only one person. So, if you are a C128 enthusiast and want to help with the development, testing or give suggestions, please contact Miro from The Ace team. Bil Herd tells a story about the introduction of the Commodore C128 on the Consumer Electronics Show. The CES is one of the most important expositions for new computer hardware. The team from Commodore had many problems with the C128, but with a few tricks and hard work they managed to demonstrate the C128 to the public. News about the new operating system for the Commodore C128. All the old program code is rewritten and they have switched from a separate 8 bit and 16 bit version to only one version. 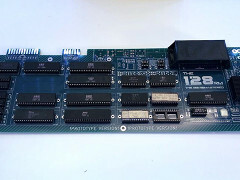 The Ace will support Commodore 128 with or without the SuperCPU. The team is also working on support for the Commodore IEEE-488 devices and USB support with the help of the Flyer and USB-Host hardware. 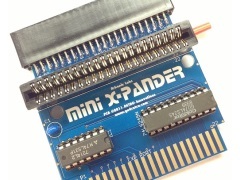 The Mini X-Pander is a new hardware device for the Commodore C128(D). There are C64 cartridges that will not work on the C128(D). This because the signals on the expansion port have too much interference. This device cleans up the signals an makes it possible to use cartridges like the 64NIC+ and the FB-net.